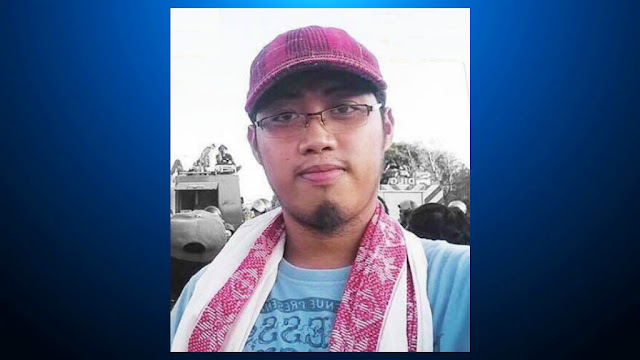 Jerome Aladdin Succor Aba, a Filipino activist was denied entry to the United States and detained in San Francisco International Airport (SFO) due to suspected President Donald Trump's "Muslim Ban". Aba is the national chairperson of Suara Bangsamoro, an organization that fights for the rights of the Moro or the Muslim people of the Philippines, also co-chaired of Sandugo, a movement of Moro and indigenous peoples for self-determination. Aba had a valid 10-year US visa and was invited by American church groups to talk about the human rights situation of the people of Mindanao, cited the Marawi war with casualties of 1000. He was detained for 20 hours without communication and prevailing rights to have a lawyer, therein, Suara Bangsamoro suspected that it was the Muslim ban that violated Aba's right to present himself with a lawyer.